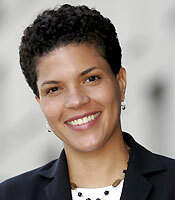 The Constitution Project on Friday presented its 2010 Constitutional Commentary Award to Michelle Alexander, author of the acclaimed book, The New Jim Crow: Mass Incarceration in the Age of Colorblindness. The following is the slightly abridged text of her acceptance speech. Several years ago, when I was just beginning the process of research and writing this book, numerous people told me that I was wasting my time. Some of these people were mentors and colleagues -- people that I deeply respected. They said there was little hope of policy advocates taking seriously the claim I make in this book, namely that the mass incarceration of poor people of color in the United States is tantamount to a caste system -- the rebirth of Jim Crow. They said: Pick a battle that is more easily won -- a cause that will not fall on deaf ears. I could not heed that advice, though at times I was tempted. Today, you are proving that I was not foolish to hope that others might have the same awakening that I did more than ten years ago. As I describe in the introduction to my book, I did not always think the way I do now. There was a time when I believed that comparisons between mass incarceration and slavery or mass incarceration and Jim Crow were counterproductive, more likely to do harm to efforts to achieve racial justice than any good. But after years of working on issues of racial profiling, police brutality, drug law enforcement in poor communities of color, and working with people released from prison struggling to “re-enter” a society that never seemed to have much use for them in the first place, I began to suspect that I was wrong about the criminal justice system. It was not just another institution infected with racial bias, but rather a different beast entirely. The activists who claimed the drug war was the New Jim Crow were not crazy; nor were the smattering of lawyers and advocates around the country who were beginning to connect the dots between our current system of mass incarceration and earlier forms of social control. Quite belatedly, I came to see that mass incarceration in the United States had, in fact, emerged as a stunningly comprehensive and well-disguised system of racialized social control that functions in a manner strikingly similar to Jim Crow. What has changed since the collapse of Jim Crow has less to do with the basic structure of our society than the language we use to justify it. In the era of colorblindness, it is no longer socially permissible to use race, explicitly, as a justification for discrimination, exclusion and social contempt. So we don’t. Rather than rely on race, we use our criminal justice system to label people of color “criminals” and then engage in all the practices we supposedly left behind. Today it is perfectly legal to discriminate against criminals in nearly all the ways it was once legal to discriminate against African Americans. Once you’re labeled a felon, the old forms of discrimination -- employment discrimination, housing discrimination, denial of the right to vote, and exclusion from jury service -- are suddenly legal. As a criminal, you have scarcely more rights, and arguably less respect, than a black man living in Alabama at the height of Jim Crow. We have not ended racial caste in America; we have merely redesigned it. More African Americans are under correctional control today -- in prison or jail, on probation or parole -- than were enslaved in 1850, a decade before the Civil War began. As of 2004 more black men were disenfranchised than in 1870, the year the Fifteenth Amendment was ratified prohibiting laws that explicitly deny the right to vote on the basis of race. During the Jim Crow era, African Americans were denied the right to vote through poll taxes and literacy tests. Today, felon disenfranchisement laws have accomplished what poll taxes and literacy tests ultimately could not. Prisoners are excluded from poverty and unemployment statistics, thus masking the severity of black disadvantage. But if you take them into account, then more than half of working-age African American men in major urban areas have criminal records and are thus subject to legalized discrimination for the rest of their lives. In fact, in Chicago -- if you take into account prisoners -- nearly 80 percent of working age African American men have criminal records. These men are part of a growing undercaste. Not class, caste. They are permanently locked into an inferior, second-class status by law and custom. There is an official explanation for all of this, of course: crime rates. Our prison population quintupled in less than 30 years -- going from about 300,000 to more than 2 million -- due to rising crime in poor communities of color. We now have the world’s largest prison population, the world’s highest incarceration rates, and millions of people branded felons, because of crime rates. That’s the excuse, right? But as it turns out crime rates have stunningly little to do with incarceration rates. Crime rates have fluctuated during the past 30 years, going up and down, and today are at historical lows, but incarceration rates have consistently soared. Most sociologists and criminologists today will acknowledge that crime rates and incarceration rates have moved independently of each other; incarceration rates have skyrocketed regardless of whether crime was going up or down in any particular community or the nation as a whole. So what is the cause of the unprecedented explosion in our prison population? The answer: the War on Drugs. The War on Drugs is the single greatest contributor to mass incarceration in the United States. Drug convictions accounted for about two-thirds of the increase in the federal system, and more than half of the increase in the state prison between 1985 and 2000. For those who might imagine that the goal of this war has been rooting out violent offenders or drug kingpins, think again. In 2005, for example, 4 out of 5 drug arrests were for possession, and only 1 out 5 were for sales. Most people in state prison for drug offenses have no history of violence or significant selling activity. Nearly 80 percent of the increase in drug arrests in the 1990s -- the period of the most dramatic expansion of the drug war -- was for marijuana possession, a drug less harmful than alcohol or tobacco, and a drug that is at least as prevalent in middle-class white communities and on college campuses as it is in poor communities of color. The drug war, though, has been waged almost exclusively in poor communities of color, despite the fact that studies consistently indicate that people of all races use and sell illegal drugs at remarkably similar rates. If there are significant differences in the surveys to be found, they frequently suggest that whites, particularly white youths, are more likely to engage in illegal drug dealing than people of color. But that is not what one would guess by taking a peek inside our nation’s prisons and jails, which are overflowing with black and brown drug offenders. In some states African Americans have constituted 80 to 90 percent of all drug offenders sent to prison. There are reasons for the targeting of poor people of color for drug crimes, but as I explain in the book, the reasons have far more to do with politics -- racial politics -- that the realities of drug crime. But there is more to this story than racial politics. The mass incarceration of poor people of color in the United States -- and the extraordinary racial disparities in our criminal justice system -- would not exist today but for the complicity of the United States Supreme Court. In the failed War on Drugs, our Fourth Amendment protections against unreasonable searches and seizures have been eviscerated. Stop and frisk operations in poor communities of color are now routine; the very sorts of arbitrary and discriminatory police practices the Framers aimed to prevent are now commonplace. Justice Thurgood Marshall, in a strident dissent, felt compelled to remind the Court that there is “no drug exception” to the Fourth Amendment. His reminder was in vain. In a series of cases beginning in the early 1980s, the Supreme Court steadily unraveled Fourth Amendment protections against stops, interrogations and seizures in bus stops, train stations, in schools, on the job, on sidewalks and airports. These aggressive sweep tactics are used almost exclusively in poor communities of color. People often ask me: If the system is as rife with conscious and unconscious bias, as you suggest, why aren’t there more lawsuits filed? Why not just file some big class action lawsuits challenging bias by the police or prosecutors? Doesn’t the 14th Amendment guarantee equal protection of the laws? What they don’t realize is that the Supreme Court has closed the courthouse doors to claims of racial bias at every stage of the criminal justice process, from stops and searches, to plea bargaining and sentencing. The Court has ruled that in the absence of conscious, intentional bias -- tantamount to an admission or a racial slur -- you can’t even get in the courthouse doors with allegations of race discrimination in the criminal justice system. These rulings have created a nearly insurmountable hurdle now that everyone, in the so-called era of colorblindness, knows better than to say “the reason I stopped him was because he’s black,” or “the reason I wouldn’t give him that plea deal was because he’s black.” Law enforcement officials know better than to admit bias out loud, and much of the bias that pervades this system is rooted in unconscious racial stereotypes and biases, inarticulatable “hunches” about certain types of people that boil down to race. The Supreme Court, however, has ruled that no matter how severe the racial disparities, and no matter how overwhelming or compelling the statistical evidence may be, you can’t even get in the courthouse door without proof of conscious, intentional bias that is tantamount to an admission. In this way, the system of mass incarceration is now immunized from judicial scrutiny for racial bias, much as slavery and Jim Crow were once protected from constitutional challenge in their day. So here we are. We, as a nation, have managed to create a massive, new system of control, unprecedented in world history, that operates to lock a huge percentage of our population -- a group defined largely by race -- into a permanent, second-class status for life. This is not the fault of one political party. It is not merely the fault of biased police, or prosecutors, or judges. We have all been complicit in the emergence of mass incarceration in the United States. We have turned a blind eye to those labeled “criminals,” and viewed them, the “others,” as unworthy of our concern. Some of us have been complicit by remaining silent, even as we have a sneaking suspicion that something has gone horribly wrong. This book is an effort to break that silence and to help inspire a collective awakening to what we have done. In the so-called era of colorblindness, we have become blind not so much to race, but to the re-emergence of caste in America. We, as a nation, can do better than this. Do we dare demand laws based on logic and reality rather than on irrational fears of what could theoretically happen? 850,000 people were arrested last year for marijuana offenses while at the same time marijuana use went **up** by 8%. We taxpayers get *nothing* back for the $40 billion a year we pay for the prohibition! Keeping marijuana in Schedule I alongside heroin diverts $10 billion a year to the sadistic, murderous cartels and undermines all the hard work of parents to keep our kids away from dangerous drugs. We need to speak up and demand marijuana be controlled with the same laws as alcohol! Michelle, this is a very good and accurate article, and may I say "God Bless You!" for taking this stand and speaking the truth. I just bought your book and am anxious to read it. The Drug War is still a war on ALL Americans, but you are so correct, it is especially a war on blacks and Latinos. I believe your book and your words will help us tear this war of oppression by tearing away all the excuses and revealing the truth of the War on Drugs for what it is... a war in Americans! A War On Americans - Not Just Minorities. The greatest population in this country is still whites. Yet every minority is always screaming that "Whites" are keeping them down or making them second class citizens. Yet, you have more blacks and minorities in power today than any time in history. A black president and most of the administration is of color or liberal activists saying they are for equal right of minorities. So who is doing what? Black kings sold their people into slavery. Hispanics have been held down by their own kind for centuries. There has become this reverse discrimination thing going on now for quite some time yet what has it gotten minorities? The answer more of the same if not worse because what minorities don't get is we are all pawns to the elites in power no matter what your color. They use the "War on Drugs" on us all - white, black brown, yellow. Until we all start waking up to that fact and working together to fight these common issues together instead of trying to divide on race lines, you are only just giving them what they want. A bunch of smaller split up groups they can pit against each other. Stop fighting against each other and fight the power that keeps us all down. Thanks to Ms Galloway for writing this book. She is preaching to a large choir of which I have been a member for many,many years. However, this choir or fraternity -- however big -- needs a shot in the arm. A super strong shot of active involvement on the part of everyone concerned. No one is paranoid if they are actually being followed -- so take another look @ that "race card" sisters and brothers! Chances are -- it's not a "card" of whim -- but a card that should never leave the "table" --until all matters of social injustice to people of color are ADDRESSED. Not WINDOW DRESSED. But, addressed effectively. To turn a "blind eye" towards Ms Galloway's book, and to anyone who agrees with it's message would be a damnable shame! Thanks to Ms Alexander for writing this book. She is preaching to a large choir of which I have been a member for many,many years. However, this choir or fraternity -- however big -- needs a shot in the arm. A super strong shot of active involvement on the part of everyone concerned. No one is paranoid if they are actually being followed -- so take another look @ that "race card" sisters and brothers! Chances are -- it's not a "card" of whim -- but a card that should never leave the "table" --until all matters of social injustice targeting people of color are ADDRESSED. Not WINDOW DRESSED. But, addressed effectively. To turn a "blind eye" towards Ms Alexander's book, and to anyone who agrees with it's message would be a damnable shame! Now that Mr. Fellwell put "the movement back on tract" lets' start taxing the BILLIONS TAKEN in by the "CONGRAGATIONS", since it seems they are not longer concern "WITH THE SEPARATION OF CHURCH AND STATE" and ARE BACK PRACTICING POLITICS while UNDERCOVER by 501-c3 TAX EXEMPT ORGANIZATIONS. LEAVE OUR PUBLIC HOSPITALS under good management and oversigth, OUR communities NEED THESE SERVICES. MODIFIYING THE EDUCATION SYSTEM SHOULD NOT INCLUDE "DEGRADING" OUR TEACHERS. STOP_STOP_STOP trying to CONTINUE TO MILK THE CORRECTIONAL SYSTEM DOLLARS- "SAY NO TO PRIVATIZING FOR PROFIT- OUR-OUR JAILS"
STOP CRIMINALIZING AND SEGREGATING OUR COLORED AND THE POOR so you can FILL UP THE 100 MILLION Dollars a wack per jail new construction. START BUILDING SCHOOLS and educating our youth with those millions SO YOU WILL NOT NEED TO CONTINUE TO build more jails for PROFIT. FIND SOME MORE HONEST source of enrichement NOT THE PUBLIC TRUST. Just finished reading "The New Jim Crow", very good and very informative. Would love to see some investigative reporting and/or a sequel to this book concerning law abiding citizens, both poor and minorities who are shut out of the legal system and denied their day in court in favor of corporations. Anyone interested in this issue should checkout the empirical study "Lessons in Losing" by Prof. Wendy Parker of Wake Forest University published May 4, 2009. Ms Parker states "only prisoners fare worse than minority/poor plaintiffs who bring claims before the judicial system". There is clearly no oversight in this system. Excellent analysis. Mandatory minimums originated as evidence mounted that our drug policies were not based on good science. The politicians doubled down, increasing the penalties. They are still doing that, with massive bribery of Latin American governments, vast untapped reservoirs of youth to imprison and stigmatize, and we make money on our private prisons. Destruction of the 4th amendment has been a great slow-motion crime. Today a person suspected of crime does not risk arrest, trial and imprisonment; masked gunmen can enter his house and shoot him dead with complete impunity. This leaves something to be desired as a form of justice. In my youth, persons accused of crime had few protections, inconsistently applied. Now he has none, even against torture, even after death.